Every month, we highlight a mystery description and pictures that someone has emailed us for a FREE party!!! Here is October’s winner! Find out how to enter and win yourself here! 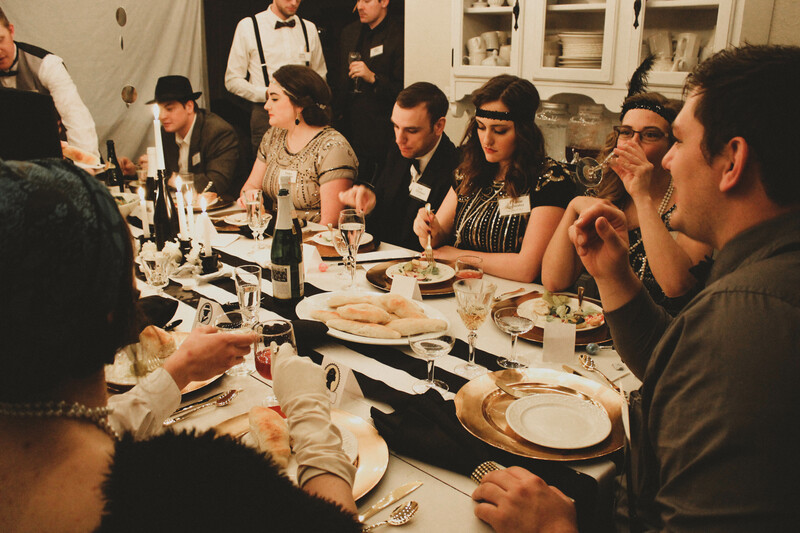 The Murder of a Millionaire Party Package exceeded all of my expectations! This was a night to be remembered. I have a close family of cousins and we have all grown and gone our separate ways. 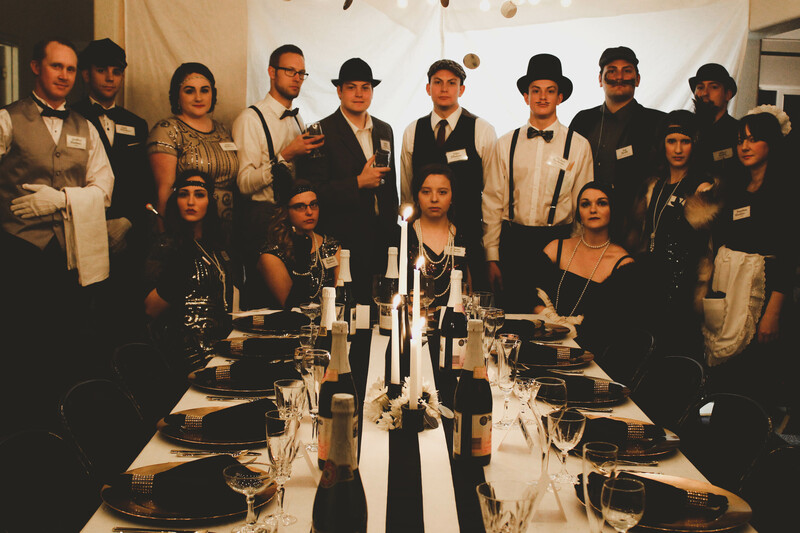 This party brought almost all of us back together for a night that would create lasting memories, crazy good acting, outstanding costumes and an atmosphere that is hard to create in the real world. 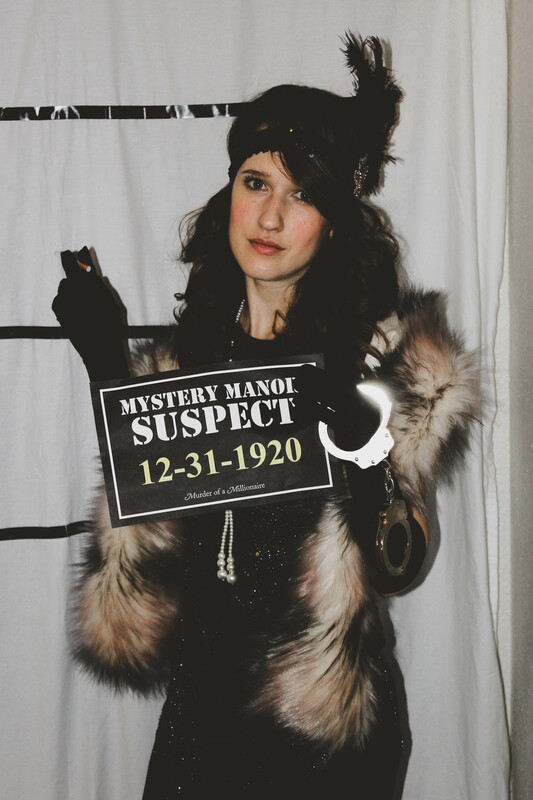 For Murder of a Millionaire, I decided to go with a Glam 1920s, Downton Abbey meets sleuthing Sherlock Holmes styling, costumes, and atmosphere. Full of vintage attire, mystical lighting, darling accents, nifty props, lovely candlelight you will see that is was as though we had stepped into a film production. 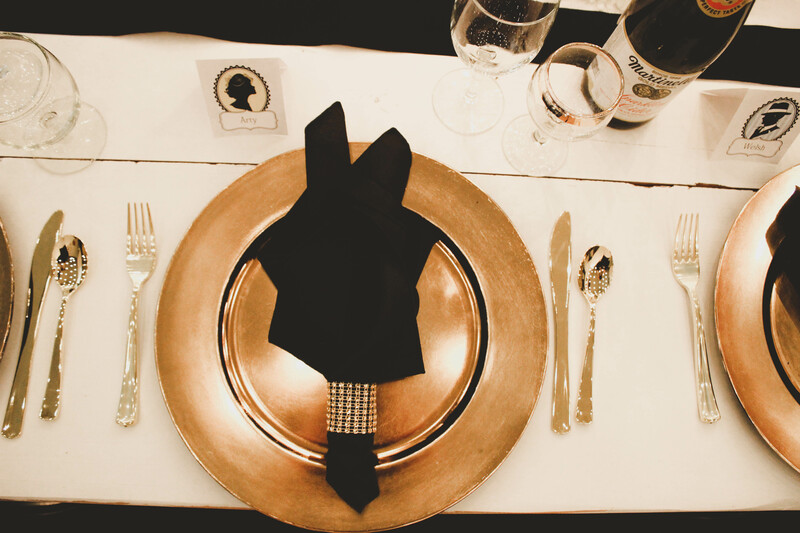 In styling the home I used a gold, black & white color palette. 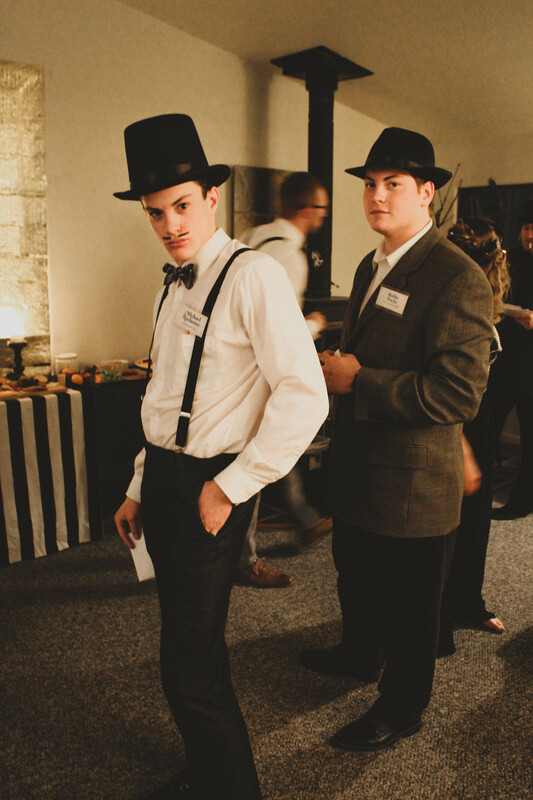 We had “Jeffery” the Butler serve a 3-course meal to all of the guests which featured salad, spaghetti, and cheesecake for dessert. 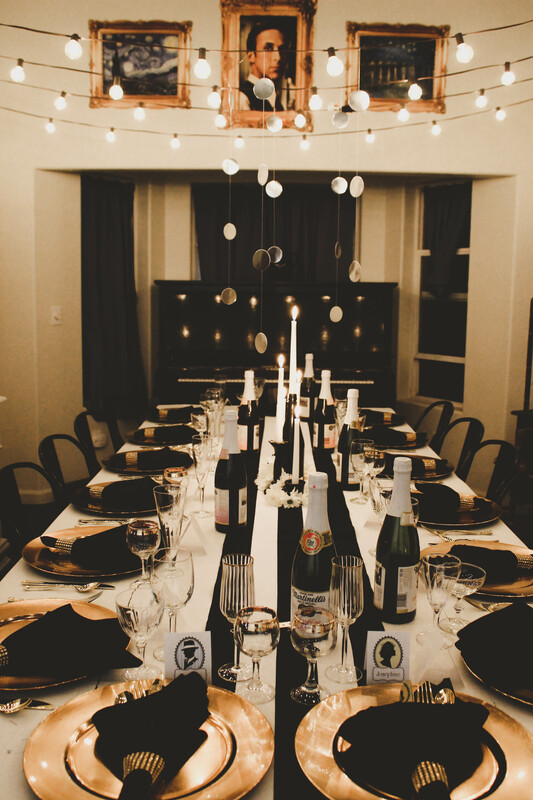 You could find an old black and white silent film playing in the living room. The walls were also adorned with actual famous paintings which became great conversation starters. The evening went magically well and ended with prizes for all of the winners. There were quite a few winners as my family is extremely competitive in these types of situations. 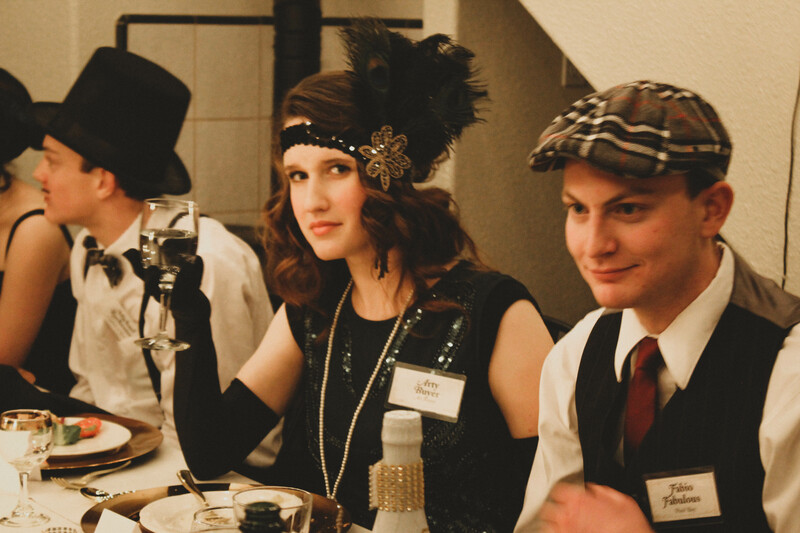 I can’t wait to get started on prepping to host my next New Year’s Eve Murder Mystery Dinner Party! 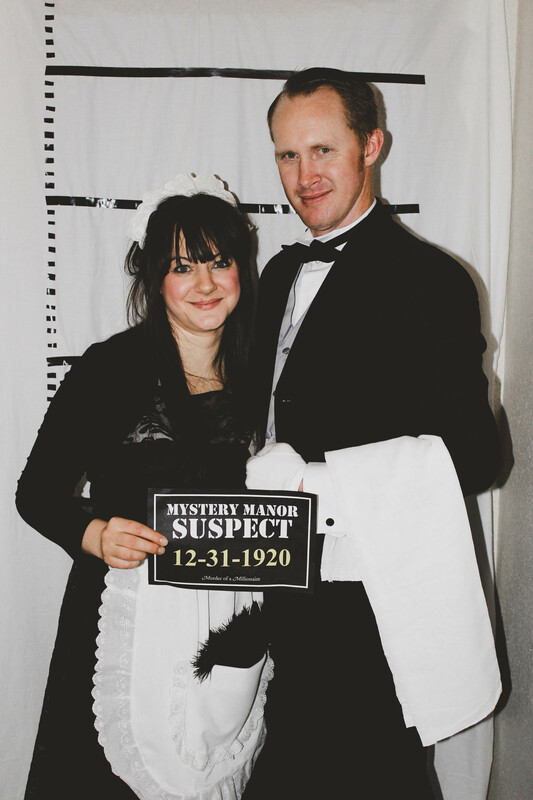 Click here for more pictures from this and other Murder of a Millionaire Murder Mystery Parties!! !